To do this it requires great understanding of your microclimate, crop selection (especially cold-hardy crops like these ones) and careful garden planning. 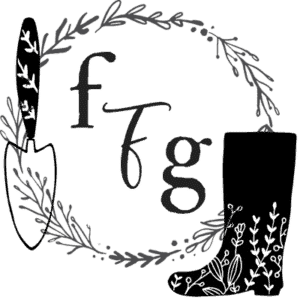 Because there’s always lots to do in a year-round garden I wanted to share this guide. In this post I’ll share with you the details of what it’s like to grow food bio-intensively year-round. I’ll start with garden tasks to do in the early spring and give you a guide all the way until the snow reaches you (if at all!). Be sure to check out my month-to-month homesteading to do lists as well for detailed yearly gardening rhythm. I’ve also written about gardening year-round in an unheated greenhouse here. Are you ready to see our year-round gardening guide? We live in the Canadian mountains in a growing zone 5. This means that while it’s safe for summer crops to be sown/transplanted end of May/early June for our location, it might be a couple of months earlier if you live somewhere warm like a growing zone 8. The idea and run down will still be the same though 🙂 In general our last spring frost is *apparently* around mid-May and our first fall frost usually happens early Sept but then we get another heat wave to 30C/86F and then frosts consistently mid-Oct onwards. Our location gets lots of plant stress during spring and falls! I’m an avid user of season extenders to allow for almost year-round growing potential. They’re very handy in the springtime to warm up soil and give seedlings a better chance with unpredictable weather patterns and are great in the fall once the cold sets in. 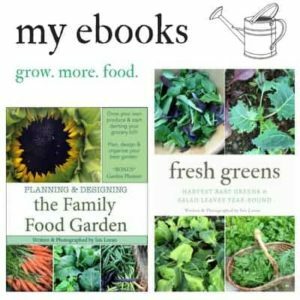 Learn more about growing food 365 days a year. I organize my crops into growing seasons because I grow food year-round. 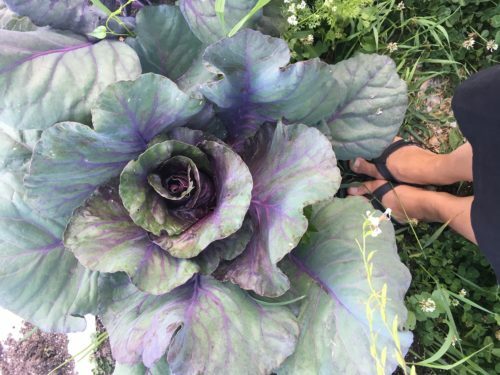 I have certain greens and brassicas for example that I grow in the springtime because they can handle the warming days and it helps to prevent bolting. In the fall I grow more the cold-resistant varieties of root crops, brassicas and greens that can handle frosts, snow and even overwintering for early spring harvests. I’m a full on gambler: The last frost I’ve experienced is May 10th, although our zone says May 20th is the ‘safe sowing time’ with no frosts. I often find our last frosts rarely happen after the first few days of May ( & some years it’s been mid-April, that’s a 3 week difference!). We often actually have huge jumps in temperature into the 30’s C/86F a couple of weeks after frosts. Here’s the thing though!! You can safely sow many of the greens 4 weeks before last frost and here in the Canadian mountains you CAN (and I’ve personally experienced it) get a freak -20C/4F dip in mid-April. So there you have a full on gamble where you’d lose all your crops in that situation. *Usually* the last time we see those kind of temperatures is March, but because it COULD happen in March or April I’ve started using low tunnels in the springtime to get an early start and to help crops handle these crazy erratic springs. Restoring the soil is key in between sowings for each season otherwise there won’t be enough nutrients in the soil for crop success. I won’t go into every detail of my soil and crop boosting, but just so you know I use the following soil amendments in a season depending on what crops are being grown in that bed: compost and decomposed manure, azomite (to re-mineralize the soil), homemade compost or manure fertilizer tea, kelp and seaweed, worm castings (especially for transplants) and alfalfa pellets. In February the seeds that take a long time to germinate are started inside: many of the medicinal herbs, woody herbs such as rosemary or thyme, asparagus and alliums (leeks, shallots and onions). If you were to grow artichokes this is when you’d start them from seed too. March and April the summer Brassicas (kohl rabi, cabbage, kale, broccoli, cauliflower) are started from seed inside, as are some lettuce transplants that will be put under tunnels in late spring. Some final garden planning adjustments are made to maximize our garden potential. One of the big things I focus on is inter-planting and under-planting smaller crops around larger crops. I also make sure I’m using these 20 methods to increase yields. 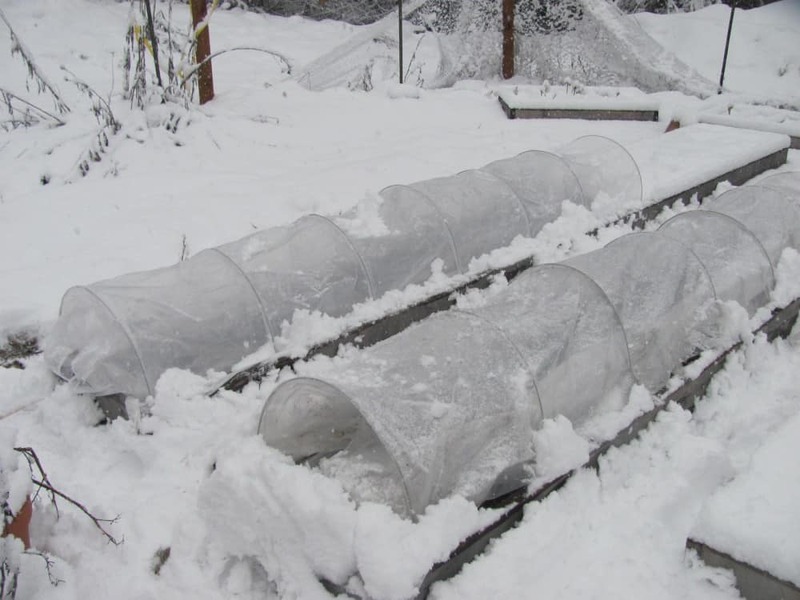 Mini hoop and low tunnels are placed over some beds once the snow is almost gone to speed up the melting and warming of the soil. In general your raised beds will warm up faster than ground level beds. I usually have overwintered greens which will produce our first spring harvests. If we get an early snow melt & they’re left more exposed to the elements I will cover them with a hoop tunnel should it get too cold. More tips here on how to get an early spring harvest. I often start two rounds of tomatoes and peppers, one in late winter and one in early spring. The first round go under tunnels a few weeks before I’d normally put them in the ground for early experimental transplanting. Some years it works, others we do get a late frost. The tunnels that were placed on the beds are ready for early transplanting: lettuce and I usually direct sow spinach, radishes and some early peas. I have successfully transplanted peas about 3 weeks before direct sowing outside for early yields. The rest of the indoor transplants are started: more brassicas, the 2nd round of nightshades & melons are started about 8 weeks before last frost. 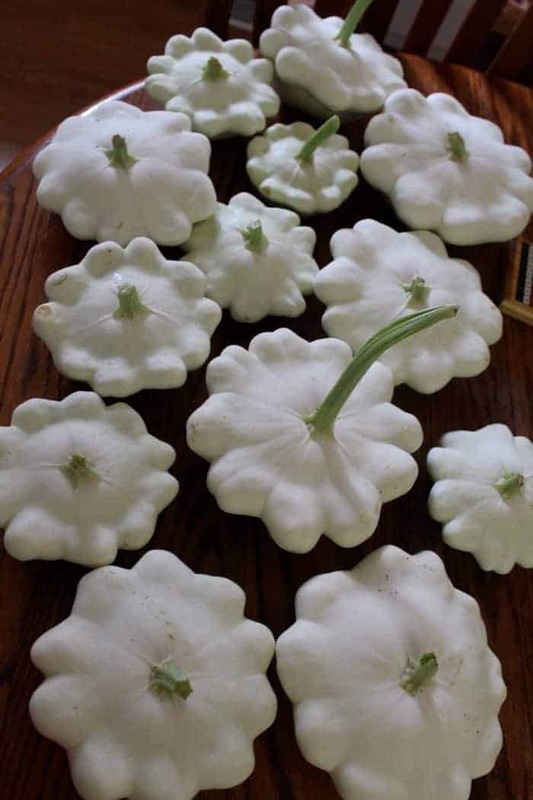 The summer & winter squash are started 3-4 weeks before last frost. Keep boosting seedlings with worm castings and starter food and move into larger pots as needed. Click here for when you should start your seeds. Keep venting the tunnels if the temperatures climb up, equally important is to shovel any late snow from the tunnels (in the photo above this was an early April snow dump that melted within a couple of days). Late spring is some experimental transplanting of summer crops: peppers, tomatoes and summer squash under low tunnels. I tend to put these in the beds that had the overwintered greens because we only get about 3 weeks of harvests before they start to bolt and go to seed. The overwintered crops are pulled up, the soil is amended and then the experimental summer transplants go into the ground. Preventing the crops from bolting is important at this time with the warming temperatures. In general I rarely get lettuce past June because of the heat, our summer greens switch to kale, chard and malabar spinach. I’ve yet to try some shade cloth to increase the harvest length of lettuce but I do make an effort to create shade with taller vegetables. Choosing bolt resistant varieties is important for these warming days. Early summer is the time to sow your warm season crops once the last frost is safely out of the way. Beans, squash, melons, cucumbers, tomatoes, eggplant and peppers can be safely transplanted now. You can direct sow corn and beans. Even though most of the transplants are in the ground, I start a second round of fall brassica transplants. These go into the ground 6-8 weeks from now. 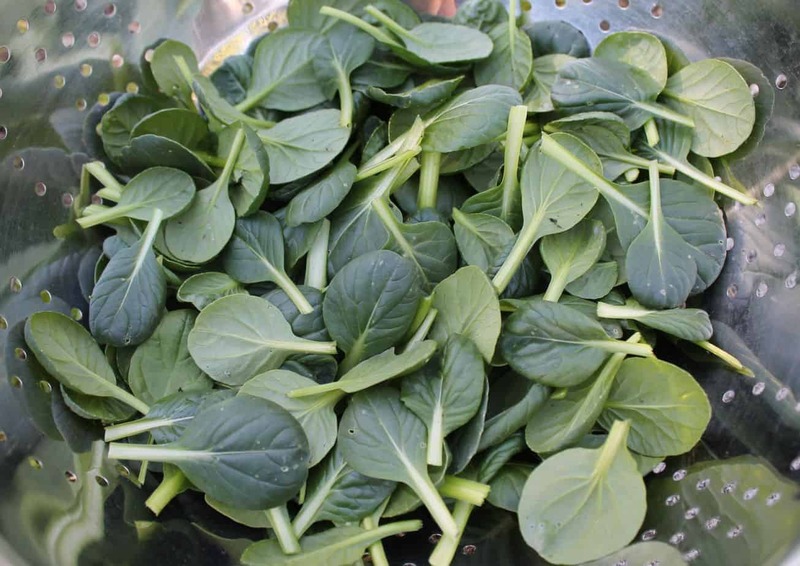 As many of the spring salad and fast growing crops have been harvested. These beds have now opened up space for the next round of crops. Make sure you restore the soil for what crops need to go in next. I don’t amend the beds if I’m planting root crops next as they require less oil fertility than other crops. If I’m growing more greens and brassicas I add compost and decomposed manure. If you have a lot of non-lettuce greens like kale, mustards and spinach that are about to bolt you can freeze them. You can freeze arugula in oil too, perfect for salads or sautéed veggies. It’s nice to have some greens ready on hand for those busy summer days. Mid to late summer marks the start of a lot of food preservation. Where spots open up the fast growing fall and winter crops get sown. We usually have a large garlic bed that becomes some of the faster growing brassicas (ones that take 60 days like kale, kohl rabi and certain hybrid broccoli). 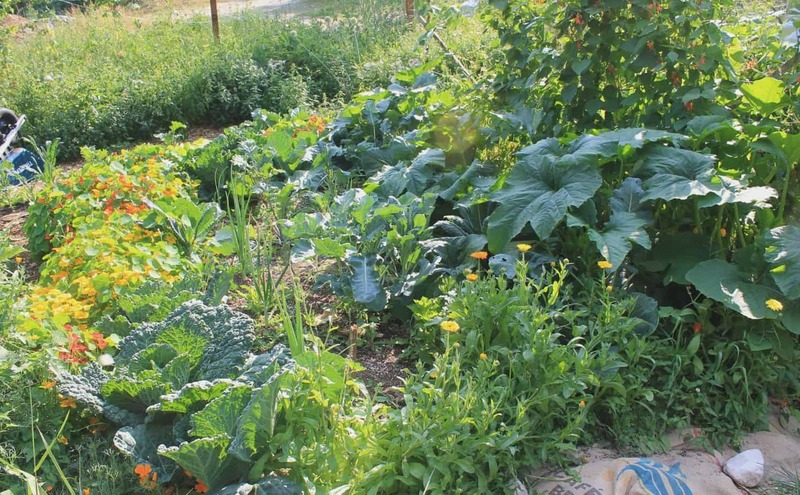 Towards the end of summer, crops are dwindling like bush beans, the first zucchini and cucumbers. Those beds become the faster growing asian greens, mustard greens and lettuce (cold hardy varieties). Learn more about how to plant your fall and winter garden here. The last of the fall brassica transplants are now in the ground where space opens up from the spring harvested greens. Did I mention food preservation? 😉 lots and lots and lots of canning and dehydrating (we use this excalibur 9 tray dehydrator and also do lots of canning and freezing). Many of you greens will have bolted by now and gone to seed. If you know how many plants and the distance needed to save seeds then you can save them. I usually pull them up and sow fall crops, I find it’s a better dollar value for the space. I can buy a pack of seeds for $3, whereas I can harvest piles of greens or herbs from the same bed for $100! Keep an eye for certain pests mid-summer. The more diligence you have the better you can control it. I do a lot of companion planting to deter pests and to attract beneficial insects. I find this time of the year there’s a lot of aphids in the spring sown kale, sometimes I leave them, sometimes I pull them up and sow something new that isn’t affects by aphids in the same spot. Here’s some tips for deterring and preventing aphids. This is almost my fav time of the year for gardening. Once the cold sets in there’s less pests to worry about. I personally love frosts (here’s a list of crops that can handle frosts and snow). Be ready for frosts and snow by using the right season extenders and learning how to vent them properly. Make sure you harvest all warm season summer crops before your first frost. They won’t be able to handle those dipping temperatures and you’ll lose yields. 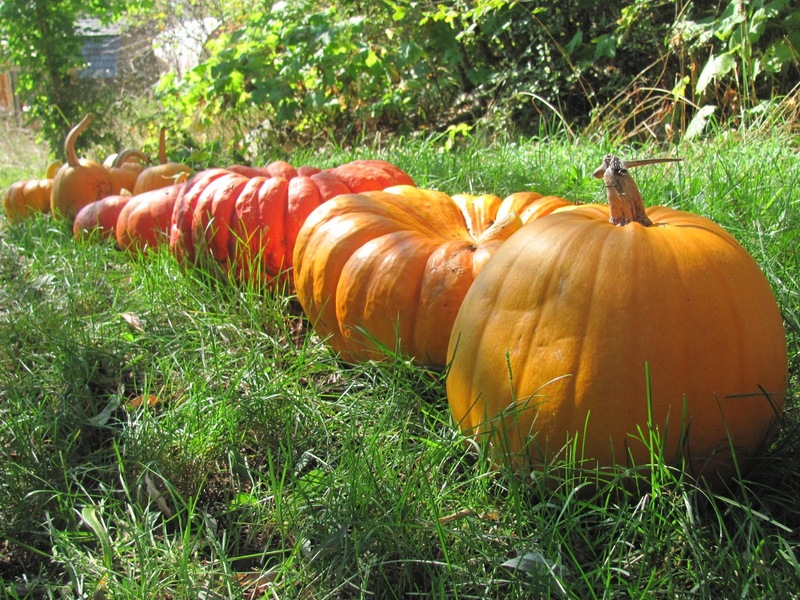 Harvest, cure and store winter squash and pumpkins. I sow our overwintering crops early to mid Sept. You don’t want them too tall before winter sets in. The younger and closer to the ground they are the better I’ve found that they overwinter. Here’s a list of crops I overwinter for our location. Late fall plantings = early spring harvests! I also sow some of our low tunnel crops early to mid Sept. Greens like arugula, baby kale, winter lettuce, spinach, mache, tatsoi. Not up for winter gardening? Here’s some awesome indoor gardening inspiration for you. 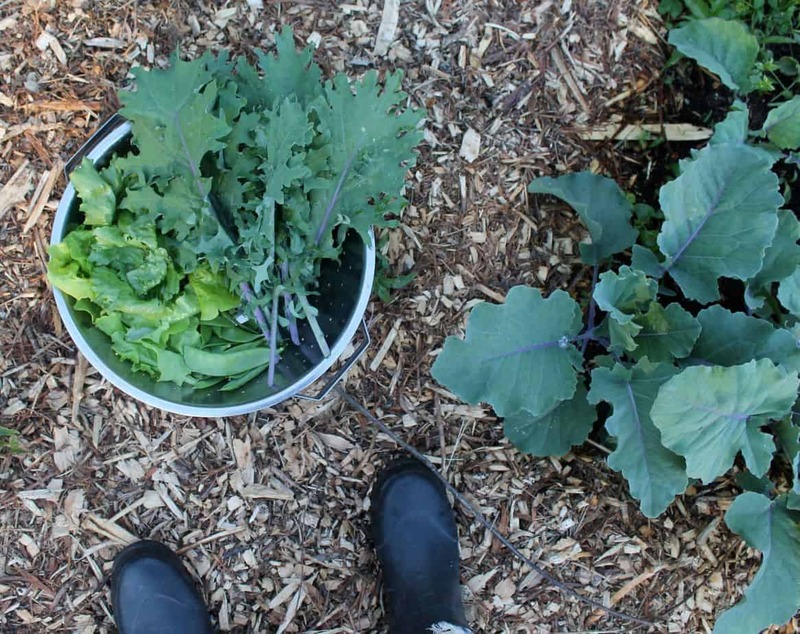 There are some amazing ways to grow food inside during the winter months! If you’re done for the gardening season here’s a fall gardening check list. 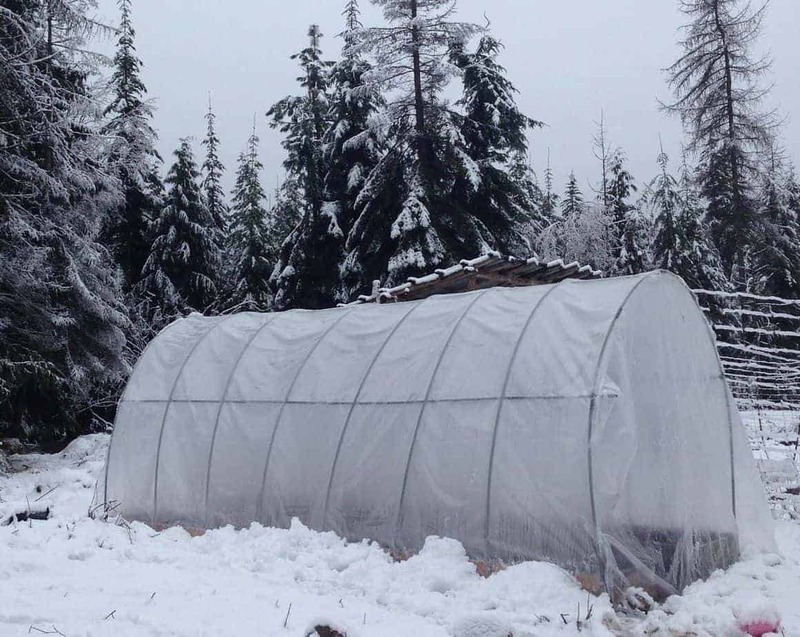 If you have a greenhouse you can potentially grow food year round, although for our location we need low tunnels inside the greenhouse for a double effect as our greenhouse isn’t heated. You are my brand new hero. I am renting about an acre and a half in Northern Vermont after living in the So. California desert for most of my life. We’ve had one garden and it was fairly successful by our standards. (Stuff grew). But I’ve had the hardest time with most sites giving general long-growing-season info which often doesn’t apply to us. This post …. well I think I love you. Thank you for smashing so much info into it and I’ll be watching for more.